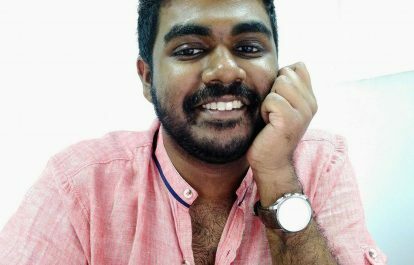 Ujjwal Acharya pays tribute to his friend, Yameen Rasheed, a bold and courageous voice of dissent in the Maldives, silenced in the prime of his life. I came to know Yameen through Twitter immediately after Maldivian journalist Ahmed Rilwan went missing in August, 2014. I started asking him for information regarding his disappearance and he was always resourceful and happy to help. After the friendship grew over time in the virtual sphere, I met him in Colombo, Sri Lanka in July, 2015 when he was invited by IFJ to talk about online campaigning to union leaders from across South Asia. In those few days, we ended up being close friends – that would last in communications, mostly me asking him for information and updates, until a couple of days before his murder. On the morning of April 23, instead of a reply to my email sent a few days ago, the bad news came in: Yameen Rasheed, 29-year-old prominent blogger, was stabbed to death at his residence. It was shocking. I looked at tweets, news and other sources in a faint hope that it would turn out to be untrue. I couldn’t believe my friend, a brilliant man who could have contributed a lot to his community, was no more probably because some lunatics thoughts his words were too strong to unsettle some establishment. It was hard to read the details of the gruesome murder. He was found unconscious and bleeding on the stairs of his residence at around 3 am with dozens of stab wounds and was taken to hospital where he died. It was a painful death, something that his killers probably wanted, but I believe that even in those painful moments he surely didn’t regret his words and deeds. His words were strong and satirical; for justice, human rights and rule of law; and against extremism, corruption and mockery of democracy in Maldives. His blog, the Daily Panic which he claimed to be ‘a mix of serious commentary and satire’, is filled with strong opinions and brilliant puns. On social media, especially Twitter, he was outspoken, frank and blatant in expressing his opinion and thought. For me, he was man on mission and everything he did, he did with devotion and commitment. A year earlier, when he came to Colombo, he not only came with the story of Rilwan, and the struggle they were waging to get justice but also with a mission to make all of us feel deeply for it. When he handed over a dozen sheets with alphabets and asked us to pose for a photoshoot arranged as #FindMoyameehaa (the campaign demanding justice for Rilwan), we all not only went numb about Rilwan but also felt praise in our hearts for Yameen’s relentless effort for justice. A few months ago, he tweeted about the threats. A few days after that, he called me and I asked him if he wanted to be away from the Maldives for some time, possibly Nepal. He said that he had been threatened a few times in last few years and they wouldn’t dare to attack him. I asked him to remain alert, follow safety measures and fly to Nepal (where he would get an on-arrival visa) at any time he sensed danger. He didn’t. The Maldives is a beautiful country, and a heaven on earth, but the heaven is becoming hell for some – the journalists, and the social media activists who are critical of the government or extremism. The government is using various techniques of harassment such as laws, arrests and regulations to silence the critical voice; whereas the extremists are using the knives to silence. The activities of both groups are leading the country towards a dangerous future where autocracy and extremism will not only kill the voices but will also put the Maldives in downward slide. Yameen should get justice. Rilwan should get justice. And, all of us, everyone, must demand justice and advocate with the government and inter-governmental organizations such as UN to held the Maldivian government accountable on fair investigation on those heinous crimes. With Yameen’s murder, not only has his family lost the main bread-earner; not only have we lost a very good friend, but the Maldives has lost a sharp intellect and Maldivian democracy has lost its basic essence – the critical voice. If Maldives fails to bring his killers behind the bars, and ensure justice to him, the beautiful island country may not call itself in a democracy. For updates on advocacy for justice to Yameen Rasheed, please follow the #WeAreYaamyn campaign. Sign petitions demanding fair investigation into the killing and justice for Yameen Rasheed here.